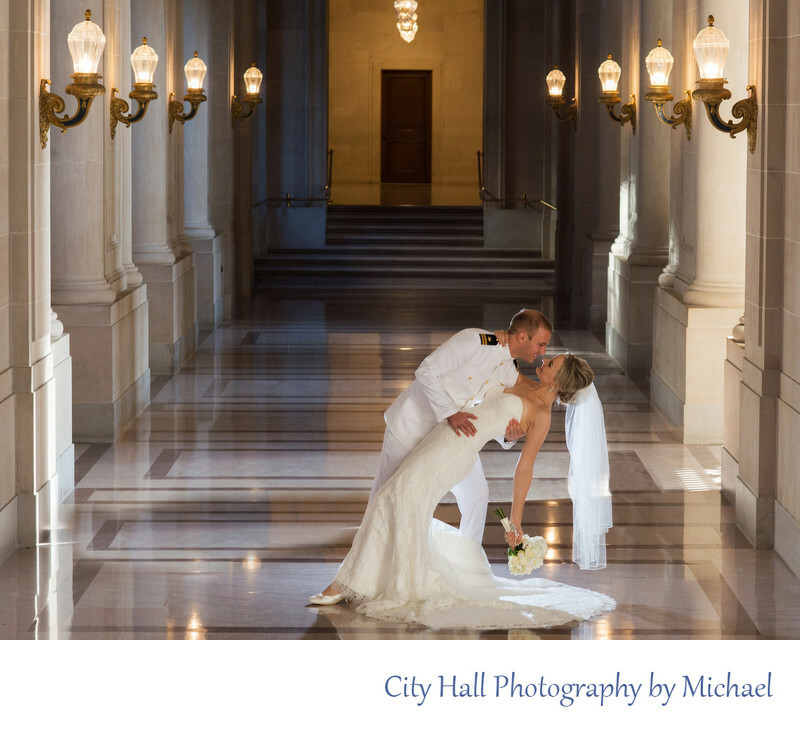 Yes, even military weddings can happen at San Francisco City Hall. We absolutely loved this couple, they were very much in love and couldn't wait to get married. They were probably one of the most pose-able couples we have ever worked with. They booked our City Hall PLUS package which provided them with 1.5 hours of city hall coverage including the ceremony and check-in. We loved his dress whites and the bride's white Bouquet. It was a dark day in the building so the background went a little dark in this picture, but it seems to add something to the photo.